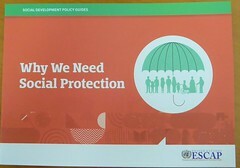 SOCIEUX+, EU Expertise on Social Protection, Labour and Employment, will be participating in the upcoming expert group meeting on Inclusive Social Protection Systems in Asia and the Pacific in Bangkok, Thailand, from 11-12 April, 2019. The meeting will gather international experts to discuss policy priorities that can extend social protection systems and strengthen decent work opportunities in the context of large informal employment sectors, rising inequality, and ageing populations. 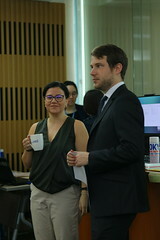 SOCIEUX+ will be presenting its experiences, best practices, and knowledge in the field, as well as case studies of our collaborative work with EU experts and partner institutions in Vietnam, Laos, Armenia, Cambodia, and Azerbaijan. 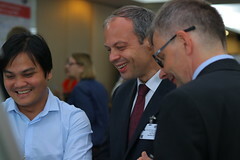 The event is jointly organised by the OECD Development Centre, International Labour Organization (ILO), United Nations Economic and Social Commission for Asia and the Pacific (ESCAP), and SOCIEUX+. More information and the full agenda are available here. 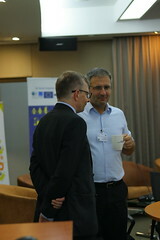 Conference hashtag : #ISPSBangkok. SOCIEUX+ EU expertise on social protection, work and employment is an instrument of technical cooperation established and co-funded by the European Union. Based on the peer exchange model, SOCIEUX+ shares European knowledge and experiences with institutions in developing countries through short-term missions, usually carried out by experts from different public administrations. SOCIEUX+ offers assistance to more than 140 countries, and is able to promptly respond to identified needs in the areas of social protection and employment policies through on-demand activities. Since its inception in 2014, SOCIEUX+ has implemented more than 155 activities in 40 countries, for a total of 4,162 days of activities. 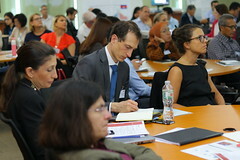 The initiative is implemented by an association led by Expertise France (EF), with the International and Ibero-American Foundation for Administration and Public Policies (FIIAPP), the Belgian International Cooperation on Social Protection (BELINCOSOC), and Belgian Technical Cooperation (Enabel).